EE 4G network coverage spreads to another 11 towns | What Hi-Fi? EE has announced that it is extending its 4G network coverage to 11 more towns across the UK, taking the total number of towns and cities able to access 4GEE to 85. 55% of the UK population is now covered by the EE 4G network, a fairly impressive figure considering the UK's first 4G network only went live eight months ago. 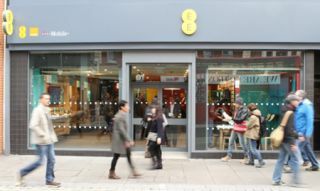 Olaf Swantee, CEO, EE, said: "Today’s launch sees us continue to extend the reach of super-fast 4G mobile to more consumers and businesses across the UK, from Warrington to Weston-super-Mare. EE claims that this latest increase in coverage means that they will exceed the company's previous goal of reaching 70% of the population by the end of the year, provided you have a 4G phone, such as our current favourite, the HTC One. The towns included in today’s EE 4G rollout are: Aldershot, Basildon, Basingstoke, Bracknell, Hitchin, Horsham, Leatherhead, Letchworth, Stevenage, Warrington and Weston-Super-Mere.